115th Anniversary? Wait, so Harley-Davidson has been around since 1903?! They have indeed and they are one of the worlds largest, long-standing motorcycle manufacturers in the world to date. Harley-Davidson is one of the only motorcycle brands in the world that don’t just sell motorcycles. They have created a whole lifestyle, a culture even around its famous Bar and Shield logo. You might be surprised to know this, but the world’s most common tattoo is the word ‘mum’, ‘mom’ or some derivative of the word mother. The second most common? The Bar and Shield. It tells you something when you don’t even have a motorcycle license, and you brand yourself with a Harley-Davidson tattoo. I digress, however you can understand how Harley Davidson is still here today after 115 years in the biz. You’d think that a motorcycle/ lifestyle brand with such a cult following would know how to throw a monumental celebration for this impressive milestone and you’d be right. One of the most recognizable logo’s in the world. What can I expect from their birthday bash? The manufacturing giant will be hosting one of Europe’s largest biker gatherings of all time in Prague, running from the 5th – 8th July 2018. Why the Czech Republic and more specifically Prague? Two reasons; firstly Prague is the home of the worlds oldest H-D motorcycle club and secondly, it is central to most of Europe, all routes lead to Prague. The celebrations aren’t exclusive to Harley-Davidson owners, granted they’ll be quite a few there, but any rider on any bike is welcomed to take part in the madness. Even people who don’t ride at all but want to be a part of it can attend. So, what exactly goes on over the four days? Absolutely everything! What entertainment are they providing? Harley know how to put on an incredible event, there will be 40+ live bands playing all sorts from Rock to Reggae, Ska Punk to local Czech music, there’s something for every taste. There will also be 5 stages, bikes expos, Jeep touring zones, a Muay Thai championship, parades in the street day and night, stunt shows and a fleet of 60+ demo bikes available to take out. What more could you want! Team that with more beer than you can handle and a ‘vibey’ atmosphere and I don’t think it gets much better! 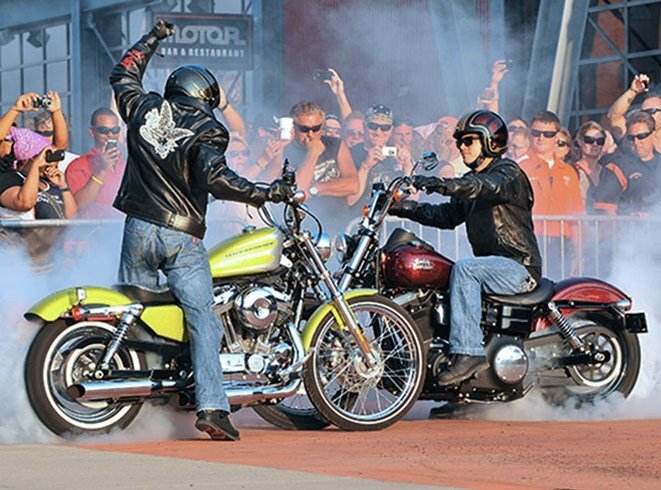 Along with the event in Prague, in order to pay homage to where it all began, Harley Davidson will be hosting similar celebrations later in the year at no other than the birth city of Harley-Davidson – Milwaukee. 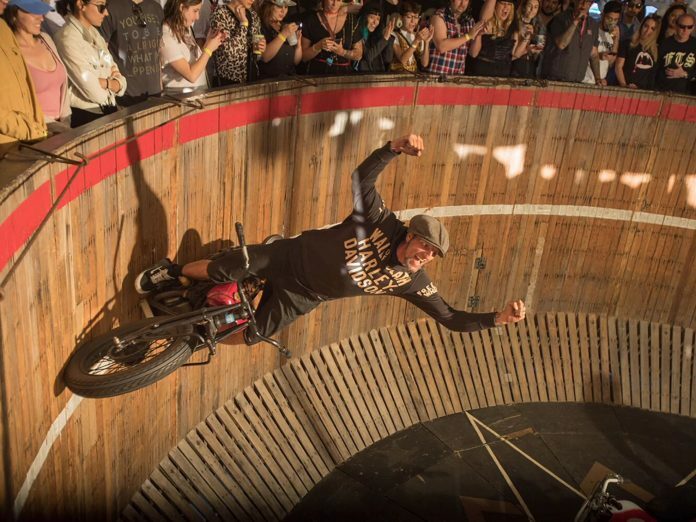 If you are fortunate enough to make it over there, you can expect factory tours, beach racing, flat tracking, the wall of death, parades and street parties long into the night! This insane celebration will take place on the 29th August through to the 2nd September. But what about the motorbikes? Of course, they haven’t stopped there! Harley has gone big for their 115th year is by bringing out a new and refined engine for its brand new 2018 Softail range and its touring range! They have named this new engine the ‘Milwaukee Eight’, Milwaukee for the obvious reasons, and Eight because the engine has eight valves. Along with the new engine, Harley has brought out a limited edition Anniversary paint scheme for a limited number of models. These paint schemes are serialised and are destined to be desirable to collectors. All in all, Harley have a LOT going on, whether you’re interested in partying or their new models – they certainly know how to mark an occasion. Next articleCould Khan be the end of Royal Jordanian?